Small kitchen appliances are gadgets and small equipment that help make work easy in the kitchen, these including cooking appliances such as rice cookers, steamers, ovens and toasters. Others include food processors, coffee makers, espresso, blenders and grills. Jumia Egypt stocks a wide collection of small kitchen and dining appliance from trusted brands which include Toshiba, Jac, Modex, Moulinex, Sharp and Sonai. Check out our huge collection of small kitchen appliances which has been carefully selected to cater for every home maker’s needs. Shop for home appliances such as blenders and juicers which come in handy when making juices and smoothies. Microwave ovens and toasters are ideal for making quick fix breakfasts and while at it, check out the coffee and tea makers. We have interesting appliance package deals, just browse through our online appliance store for all your kitchen appliance needs. 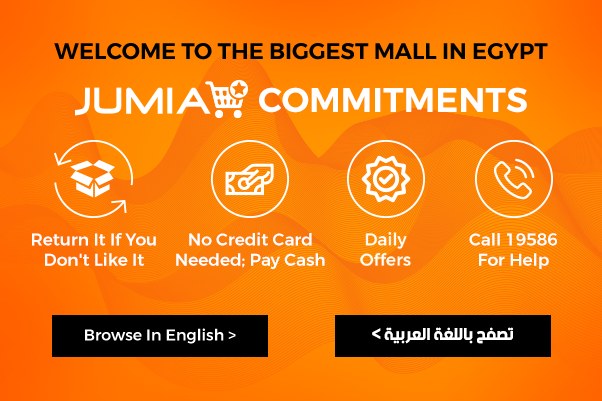 Jumia Egypt is the best place for kitchen appliances online shopping, we have the best prices and the best kitchen appliances. Our electrical appliances also come with valid warrant. Order for your appliance now and enjoy our kitchen appliances sale with discounts on selected items. Shop now and have your appliance delivered to an address of your choice.